- Adjustable timer setting, auto timer/alarm count down. - This mug clamping has a floating bar,it can automatically distribute the pressure evenly across the face of the mug. Made of stainless steel ,it is solid and durable. Easy to operate and maintain even for a novice. Ideal machine for home based business or individual workshop. 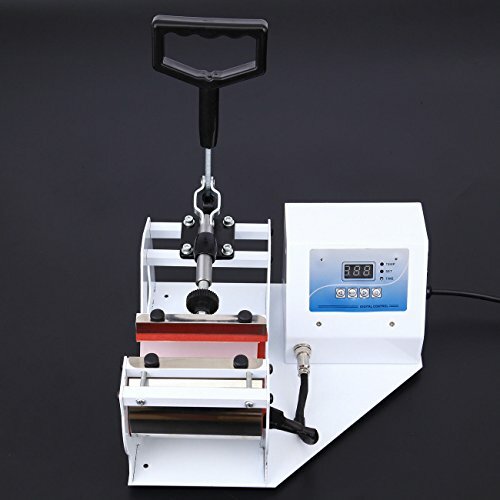 An excellent equipment for sublimation printing your own design, logo, pattern and texts. Suitable for print your Ceramic Mug, Coated Mug, Round Mug, Taper Mug, Cup, etc.